Explanation: During September 7th's lunar eclipse, the Moon slid through the Earth's shadow. Extending into space, Earth's cone-shaped shadow has two distinct parts, the lighter, outer part or penumbra, and the darker, inner shadow called the umbra. For this eclipse, the lunar disk just grazed the shadow's dark inner umbra. 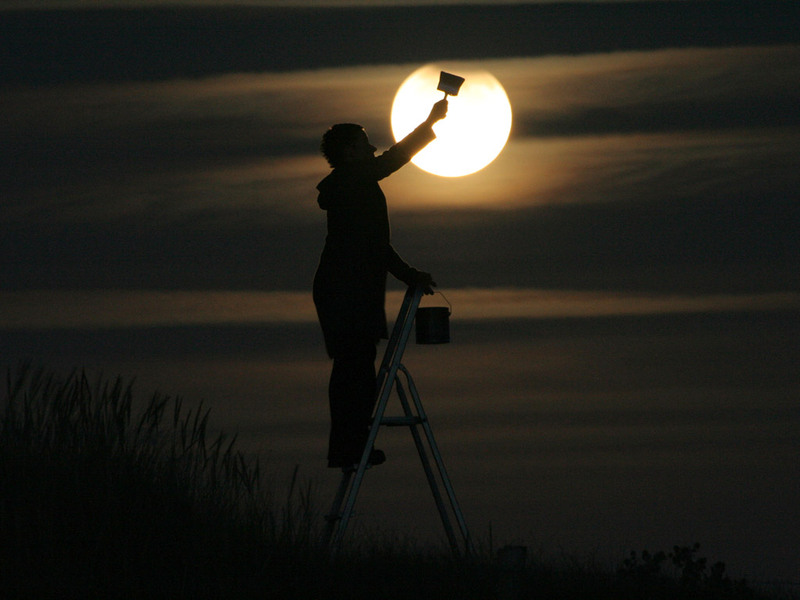 As a result, only a small part of the Moon was noticeably eclipsed, but the performance still attracted the attention of Moon watchers along the Earth's night side. 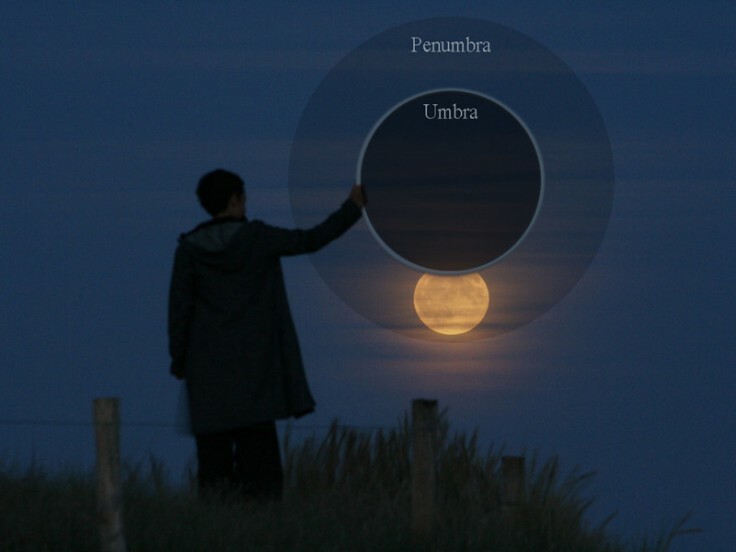 In this creative scene, eclipse enthusiasts have matched the curve of a hoop to the eclipsed portion of the Moon - demonstrating the apparent size and position of the lunar disk relative to the umbra and penumbra. Of course, it's only shadow play.